Can I avoid St. George probate by making my family joint owners of my property? Generally, real estate which is held as “joint tenants with right of survivorship” in a St. George estate planning plan automatically passes to the surviving joint tenant without a probate procedure. Many people attempt to avoid probate by naming children as joint tenants. Although this practice may avoid probate in St. George, Utah, it brings with it a host of potential pitfalls. In addition to triggering gift tax consequences, you may subject your home to attack by a child’s creditors, as your child is now a “co-owner” of the asset. Many problems lurk within St. George, Utah estate planning founded upon joint ownership. Often, a revocable living trust is a better option for probate avoidance. Contact a St. George, Utah estate planning attorney before implementing joint ownership strategies. Many people share confusion regarding estate taxes. Some clients seem to believe that the state or federal government will take money from their estate by virtue of a probate proceeding alone. Please understand that St. George, Utah probate has nothing to do with taxes. Rather, the expense associated with probate is mainly attorney’s fees. Under federal law, larger estates may be subject to the estate and gift tax. The exclusion level is subject to Congressional oversight and is often the subject of discussion. The unlimited marital deduction affords no real tax liability upon the death of the first spouse. However, after a spouse’s death there is a single individual with an estate exceeding the exclusion amount which will likely be subject to some estate tax. Consequently, couples who have estates close to or exceeding the exclusion level should properly implement their St. George, Utah estate planning for tax avoidance purposes. The revocable living trust is a good option to avoid or minimize St. George estate planning taxes. A properly drafted trust may separate the estate into two trusts upon the death of a spouse. This strategy will allow a couple to fully utilize each of the individual exemption, allowing double the benefit for the surviving spouse. Portability is another benefit a surviving spouse may utilize to minimize the potential of federal estate taxes. Will my St. George estate planning trust protect my assets from creditor claims? It depends. Generally, for basic St. George, Utah estate planning purposes, people execute a revocable living trust. This trust provides many benefits, such as probate avoidance, privacy, planning for incapacity, and estate tax avoidance. However, a revocable living trust generally will not provide protection from your own creditors. It is a common misconception that by transferring your assets to a trust you will keep them out of reach of creditors. Because grantors using revocable trusts have full powers to revoke, amend, and otherwise exercise dominion and control over the assets, creditors may still get to the assets of the trust. However, a beneficiaries’ creditors may not get to the assets of the trust if a proper “spendthrift provision” governs the trust. In order to truly protect assets, one must generally enter into an irrevocable arrangement. The downside is that you generally lose control of your assets in an irrevocable trust. However, for some people, the irrevocable trust may make some sense. Some advanced St. George, Utah estate planning techniques may be appropriate for those who have increased liability risks. The revocable living trust is privacy. A will that is probated becomes part of the public record. Probate is a court proceeding where a court oversees the administration of an estate. Generally, a will would be filed with the court in probate, thus becoming a public document. A revocable living trust avoids your St. George, Utah estate planning becoming a public document by avoiding probate altogether. Consequently, the revocable living trust becomes a good option to keep your estate planning private. If you have previously had a St. George, Utah estate planning trust prepared, check your deeds to make sure all of your real estate and water rights are titled in the name of your trust. The number one pitfall of the revocable living trust is failing to deed your property to it. Your trust only governs the property it owns. This is one of the major reasons that it is vital for even young couples to have a will. Utah law allows a parent to name a guardian for their minor children by a provision in their will. A person named by will has priority of appointment as the minor child’s guardian. Otherwise, the guardianship of the children could be a matter of litigation between family members as well as the State Department of Child and Family Services. Young families should safeguard their children through a properly drafted will provision as part of their St. George, Utah estate planning preparation. Another St. George estate planning tool that can benefit your minor child is a special needs trust. This trust gives the benefit to the special needs child and avoids any spend-down provision that may apply for public benefit programs. A special needs trust is a vehicle that can provide the financial peace of mind for you and provide for the care, maintenance and welfare of your child with special needs. Once the designated purpose is fulfilled, the trust assets can then pass to named beneficiaries, including your surviving children and grandchildren. The number one reason that our clients seek a living trust is for probate avoidance. Basically, probate unduly complicates administration of your estate and adds unnecessary expense. However, there are many other reasons to consider a living trust. First, if you become incapacitated and unable to handle your personal or financial affairs, your loved ones would generally need to seek a guardianship from the court to properly provide for your care. In Nevada, a court often requires your assets to be placed in a blocked account so that the court may oversee administration. A trust allows you to name a successor trustee to handle your affairs should you become mentally incapable. This gives YOU the ability to choose your guardian and not a court. A trust generally allows administration without the time and expense of going to court. Our attorneys frequently work with clients who live out of state and who have the responsibility to close the affairs of parents and grandparents. Our services are tailored to match the needs and budget of our clients. We focus on the most cost-effective means to probate the estate, transfer title to real and personal property, and distribute estate assets to rightful heirs. By retaining estate planning counsel located in the county where the deceased passed away, the client retains our experience and knowledge of the local court proceedings, transfer procedures and services. Our firm strives to communicate often and openly with the client to minimize any challenge physical distance may present. It is vital to a proper St. George estate plan to make appropriate arrangements for your remains. Failure to properly plan these issues can lead to family strife and, at times, litigation. 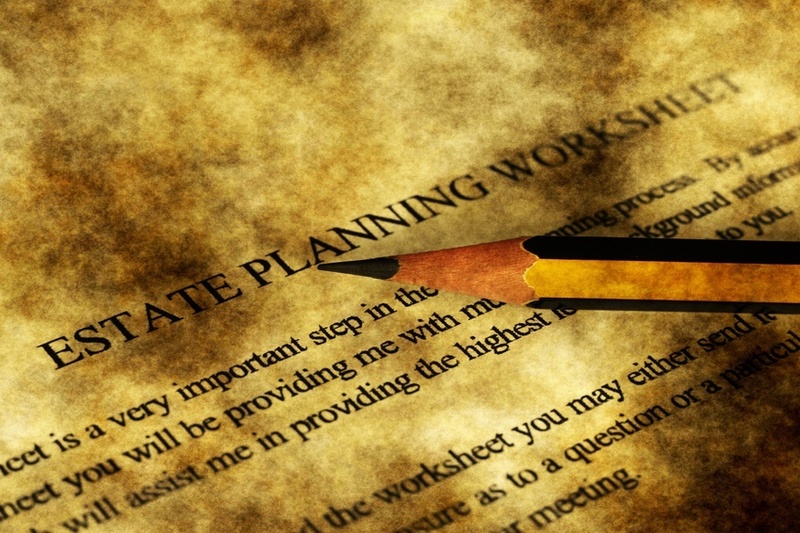 Nevada estate planning law follows a similar system of priority, absent written instruction, as follows: (1) the surviving spouse, (2) an adult son or daughter (former law required a joint decision), (3) either parent (former law required parents jointly), (4) adult brother or sister, (5) a grandparent, (6) a guardian, (7) a person who held the primary domicile with the decedent as a joint tenant (i.e. unmarried partner.) The Nevada system went away from a majority vote of children to “an adult child.” This seems to invite panic among siblings.